Vaporesso Orca Solo is an All-in-One starter kit, comes with 800mAh built-in battery and 2ml e-juice tank. 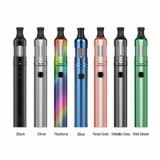 It features convenient top-filling system and unique ceramic CCELL coils that is perfect for high nicotine lovers and Mouth-to-Lung enthusiasts. The Orca Solo is an All-in-One starter kit from Vaporesso, which comes with 800mAh built-in battery and 2ml e-juice tank. It features convenient top-filling system and unique ceramic CCELL coils that is perfect for high nicotine lovers. 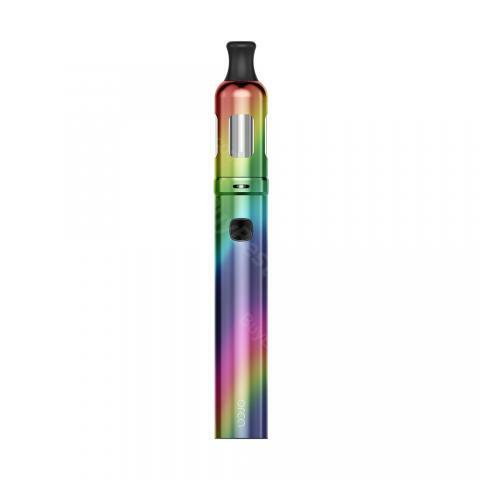 Vaporesso Orca Solo vape pen kit is a compact device with elegant styling, that is not only for new starters but also those who search Mouth-to-Lung enthusiasts. I like the way it feels in the hand. I also enjoy that the button in flush with the pen. The tank maybe a little small but it fits with the style. I really like the cage around the tank. I do have a tendency to drop things sometimes. The drip Tip is nice and comfortable and you can remove it an replace if you have one thats a 5 mm.